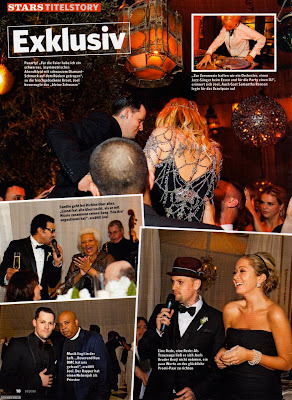 IN magazine were lucky enough to get some great wedding day photo's from Nicole Richie & Joel Madden's wedding day thanks to celebrity photographer Yvette Roman. Check out the scans below .. 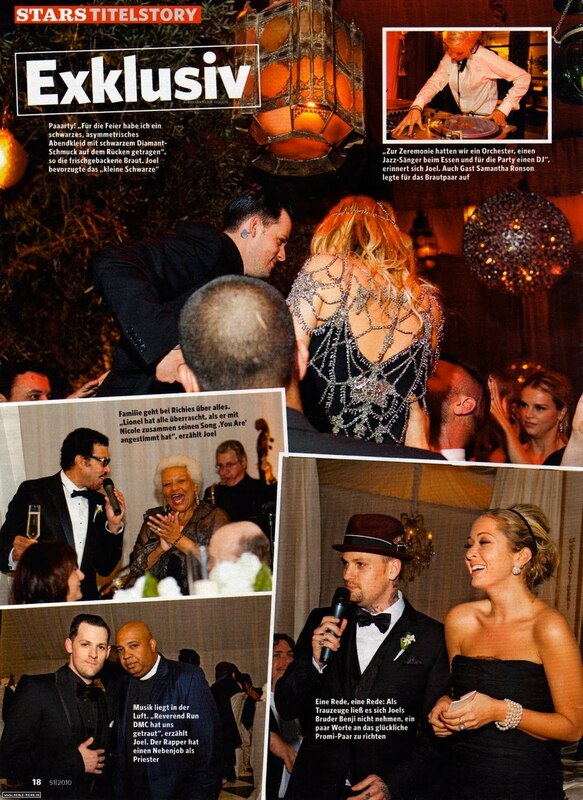 I am just dying to see a picture of Nicole Richie's black dress with jeweled body chain! 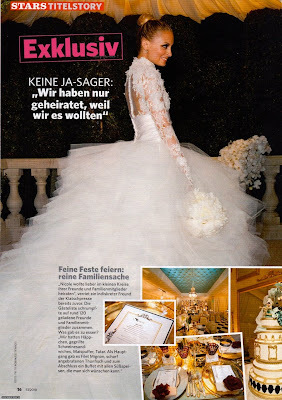 The Daily Truffle have an inside scoop on all of Nicole Richie wedding day details from the chefs to florists head over to The Daily Truffle for more info! They both looked so happy! I'm wishing their family God's blessings throughout their life. Wow! 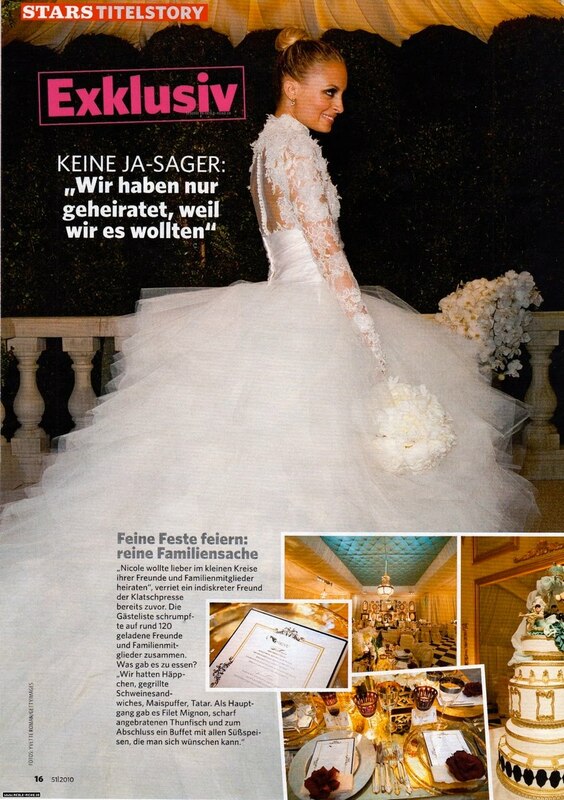 The dress was amazing! Can't wait to have a closer look of each dress, how about that black one? amazing! She's great! ... They both looked so happy and in love!